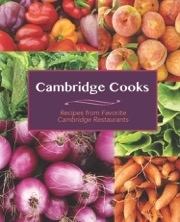 Cambridge Cooks is a cookbook of recipes shared by our favorite Cambridge restaurants, compiled and tested by the Friends of Cambridge Library. Try your hand at appetizers from Puritan & Co. and cookies from Sofra, among many others! Inspired by our biennial Secret Gardens of Cambridge tour, enjoy a peek into secret gardens in neighborhoods all across the city! Author and Friends member Frances Tenenbaum worked at Houghton Mifflin where she specialized in books for the American gardener. She envisioned and edited The Secret Gardens of Cambridge, a fully illustrated book of very special Cambridge gardens. Cambridge Voices showcases the vibrant literary community that enriches our city. In a variety of genres, the distinguished writers whose work appears in this book demonstrate their passion for the written word, the experiences that shaped their work, and the unparalleled effect reading can have on one’s life.